Hi there! It’s a cold but sunny morning where I’m at, and just like at your place, it’s a Monday. And while I’ve recently my attitude towards Mondays (from an Eeyore-esque “Oh, dear…” to a more git-er-done “What problem am I gonna attack this week!”), I have to be honest here and admit that there’s one issue I’ve struggled with for years, and continue to…healthy living. Do you ever find yourself in the same boat? As a homeschooling mom, I know it’s important to take care of myself. I’ve even written about health and wellness topics such as Healthy Lung Month (motivated by my dad’s poor health), Women’s Health and Fitness Day (each September), smoothie recipes, info on the use of essential oils, family exercise activites, detox baths…and I’ve done quite a bit of research on additives, allergies, and asthma in kids. Plus, I know how important it is to give good information to our kids, help them instill healthy habits early on, and get them on a solid footing for their future. And yet I still need all the help I can get! 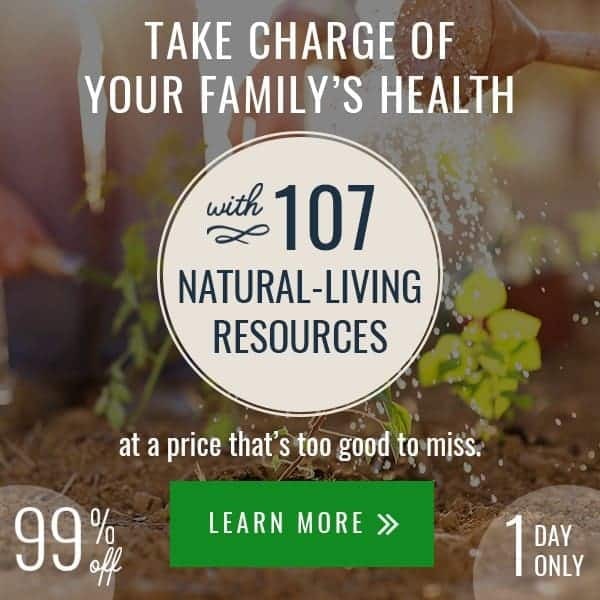 In this particular bundle, I’m looking forward to reading about “Cooking for Hormonal Balance” by Magdalena Wszelaki (which alone is worth more than the cost of the entire bundle) and yeah, pretty much the entire section of Home Remedies (valued over $300 ) since cold-and-flu season has hit my household straight on! So, since my family will be benefitting from the info inside, I’m just putting it out there for you, too. If you find yourself in the same boat as I, or even if – in your efforts to get quality information at a great price – this just piques your interest, read on below for the skinny. Today’s deal is a second chance to get a HUGE bundle called the Ultimate Healthy Living Bundle (2017 edition). It’s the longest-running bundle at Ultimate Bundles! Take a look at the entire contents of it here. Productivity tip: buy yourself a flash drive like this one and upload all your contents on to it. This way you have them all in one place and they don’t take up space on your computer! This is the last chance you have to get this very popular bundle. Grab yours here before midnight tonight! Yes! For a crazy low price, you can get eBooks, printables, and eCourses to help you if you have kids, fitness goals, healthy living resolutions, clutter to conquer, or a desire to ward off the winter sickies. Check out the whole week’s schedule here. Got any questions? Shoot me an email, post them below, or contact the Ultimate Bundles support team!